Chinese forest musk deer; Illumina sequencing; de novo assembly; transcriptome dataset; Moschus berezovskii. The Chinese forest musk deer (Moschus berezovskii Flerov) is an endangered artiodactyl mammal. The musk secreted by sexually mature males is highly valued for alleged pharmaceutical properties and perfume manufacturing. However, the genomic and transcriptomic resources of musk deer remain deficiently represented and poorly understood. 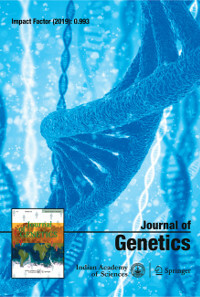 Next-generation sequencing technique is an efficient method for generating an enormous amount of sequence data that can represent a large number of genes and theirexpression levels. In the present study, we used Illumina HiSeq technology to perform de novo assembly of heart and musk gland transcriptomes from the Chinese forest musk deer. A total of 239,383 transcripts and 176,450 unigenes were obtained, of which 37,329 unigenes were matched to known sequences in the NCBI nonredundant protein (Nr) database; 31,039 unigenes were assignedto 61 GO terms, and 11,782 to 332 KEGG pathways. Additionally, 592 and 2282 differentially expressed genes were found to be specifically expressed in the heart and musk gland, respectively. The abundant transcriptomic data generated in the present report will provide a comprehensive sequence resource for Chinese forest musk deer as well as lay down a foundation which will help inaccelerating genetic and functional genomics research in this species.